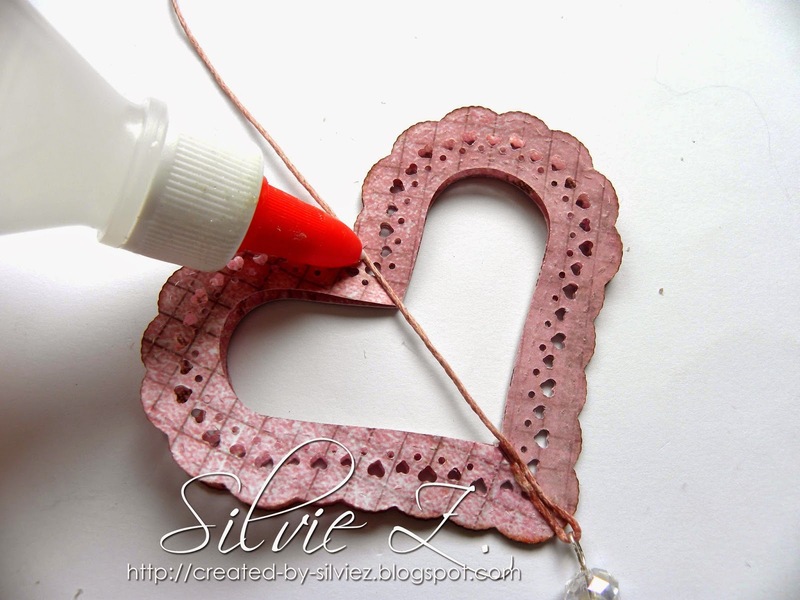 It's SILVIE here with a new tutorial for you. 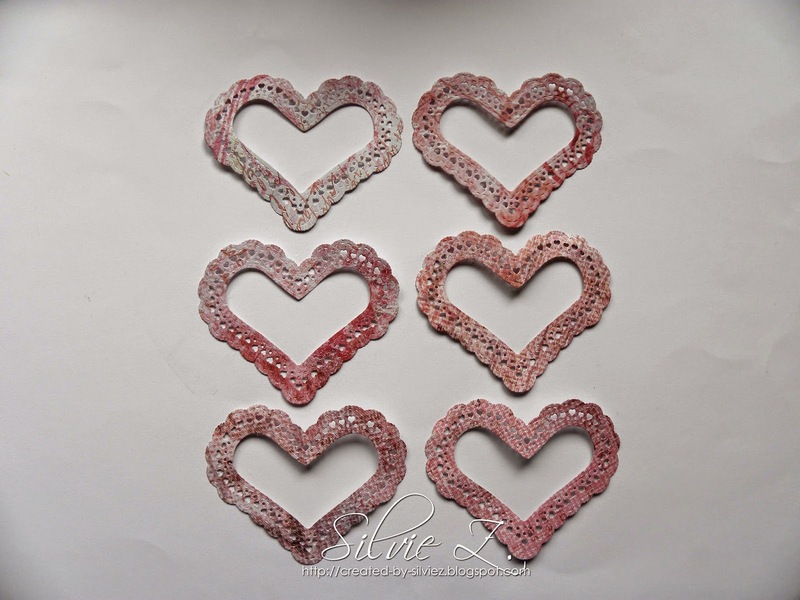 Cut 6x heart doilies using La-La Land Crafts – Heart Doily die. Score all 6 hearts in half. Make sure the scallops match perfectly. Apply glue to the back half of 1 heart die cut. Glue another heart to it as shown in the picture. Glue another heart to the back. Then repeat the same with the 3 remaining hearts. 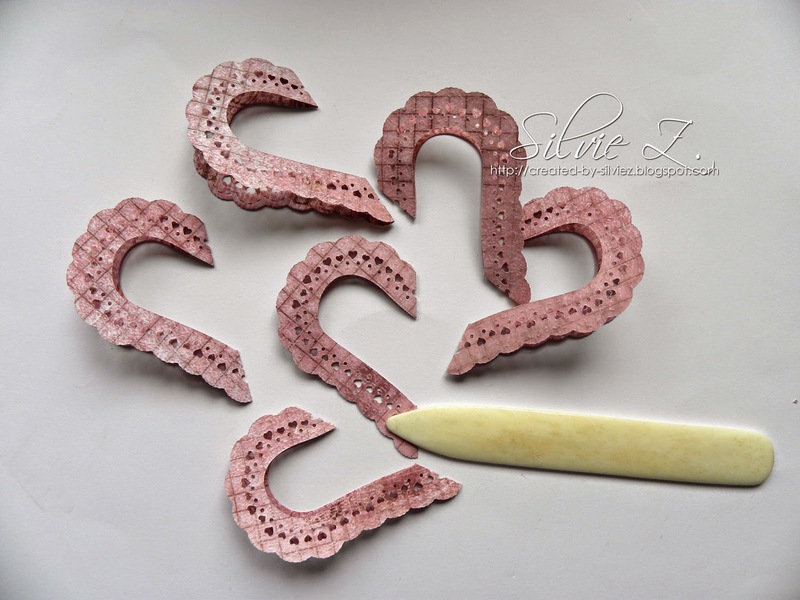 You obtain 2 “half” hearts made with 3 heart doily die cuts. 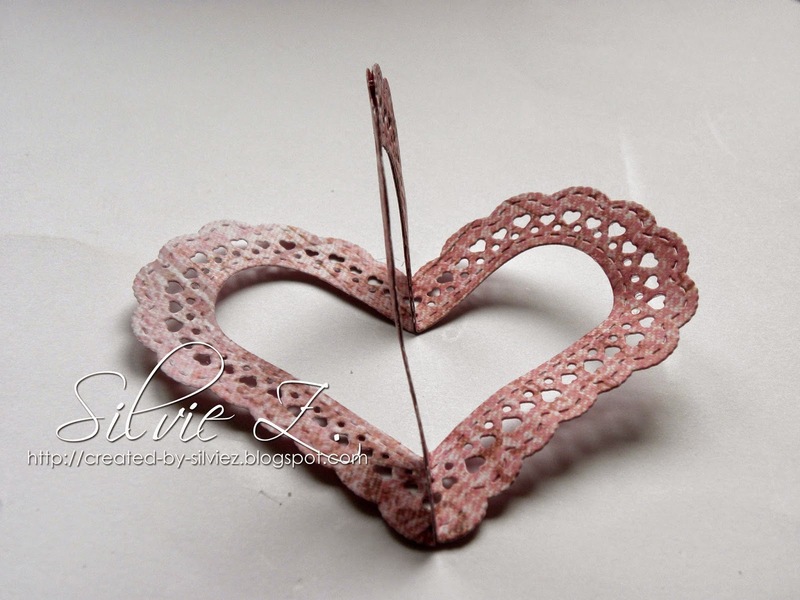 Place twine (or ribbon/string) to the center of the heart. Decorate the bottom - I used some glass beads; you can also add a charm as you can see at the bottom right corner (make sure the charm has the same motif at the back). 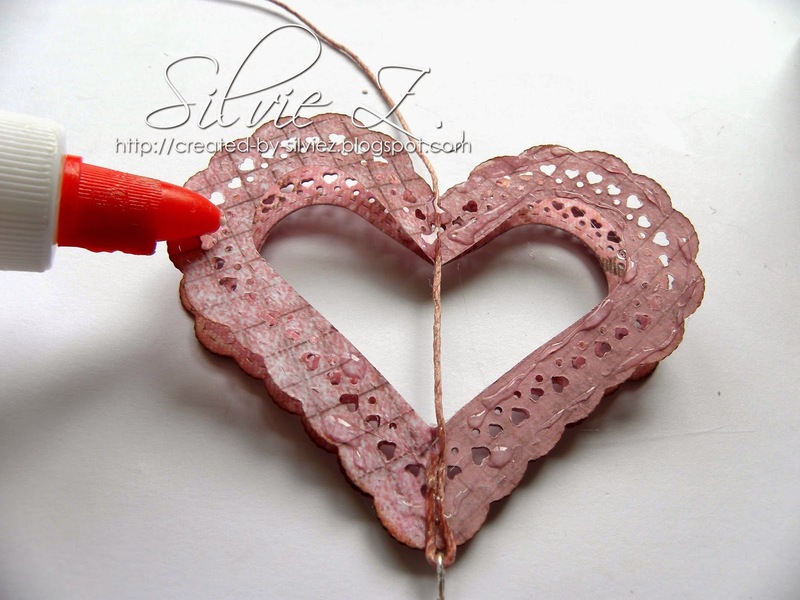 Apply glue so that the twine adheres to the heart. Set aside and let dry. 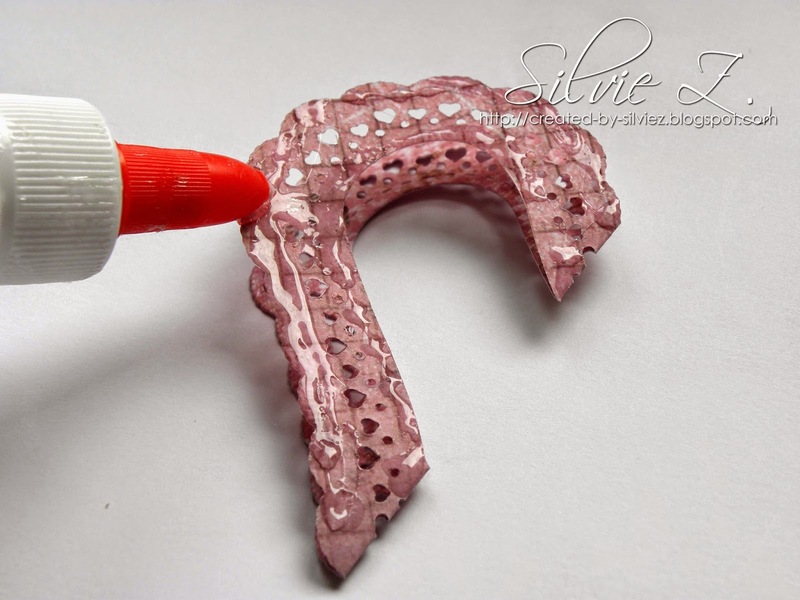 Apply glue to the top part. Make sure the twine is straight and tight. Let dry. Apply glue to both sides of the heart. 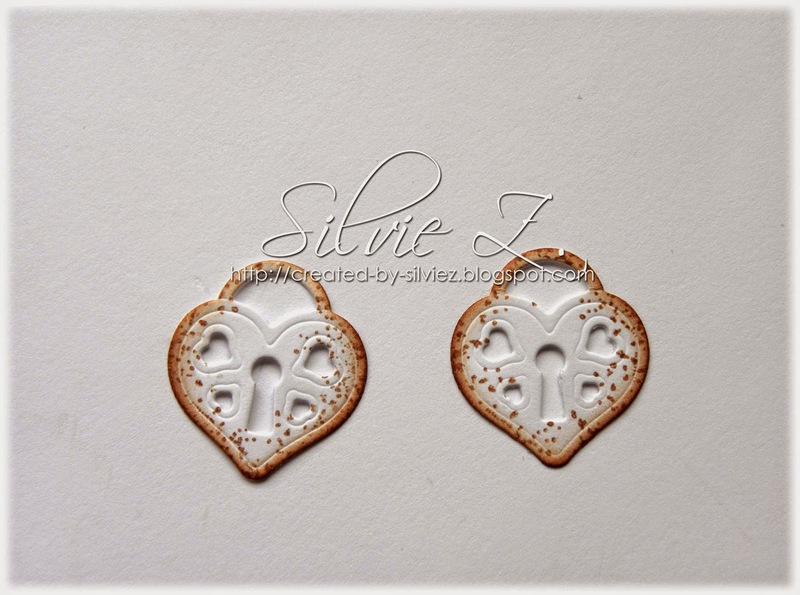 Glue the 2 parts together to obtain a 3D heart ornament. In the picture above you can see 2 different views. Cut 2x locks from the Heart Key and Lock die set. I decorated both die cuts by stamping some dots on it. I also distressed the edges with a blending tool and some sepia brown ink. Apply glue to the back of one lock die cut. Place it to the center of the heart; make sure the twine is in the middle. Adhere the second lock die cut to the back. As for the locks, I stamped some dots and distressed the edges. I also added pink and clear flatback gems to the top part. 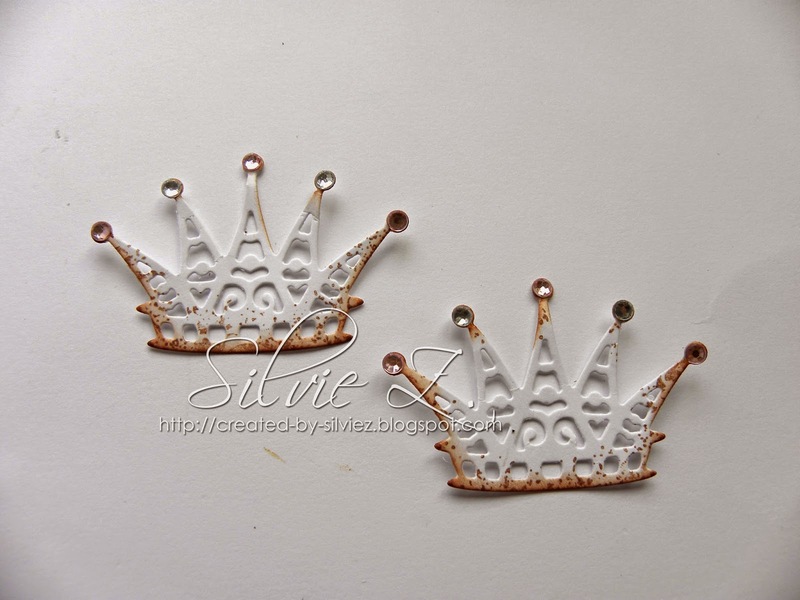 Glue the crowns back to back as shown in the picture. Make sure the twine is in the middle. 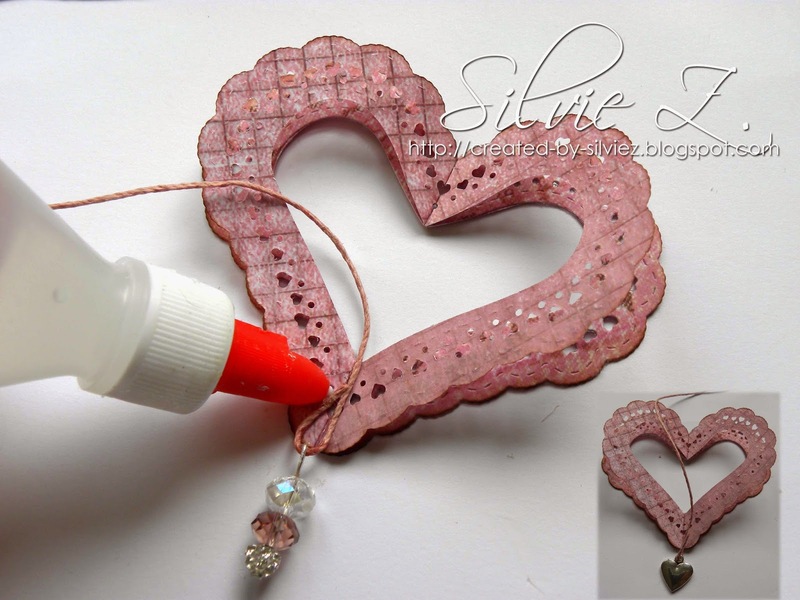 I added a little bit of white paint to the edges to make the heart ornament look more shabby chic. 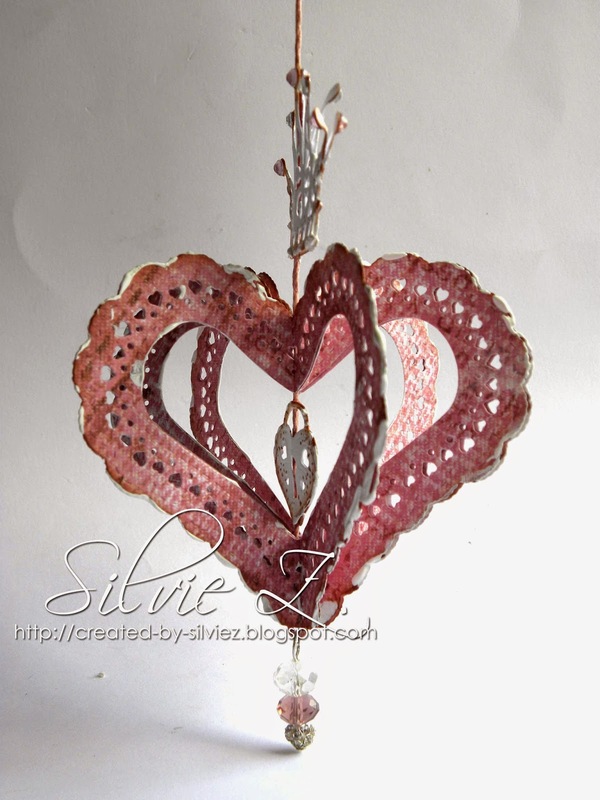 Your 3D hanging heart ornament is now finished. In the picture above, you can see the ornament from different views. 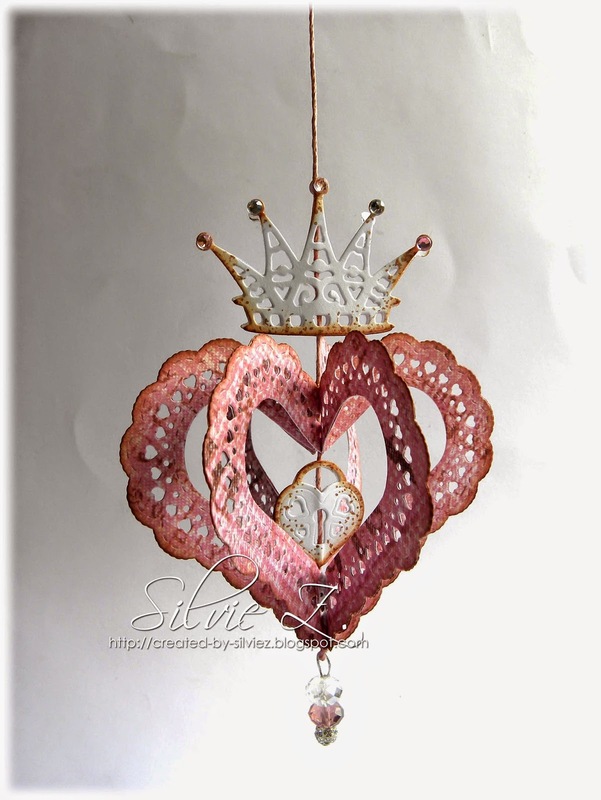 It’s perfect for Christmas, Birthday , Valentine etc decoration. 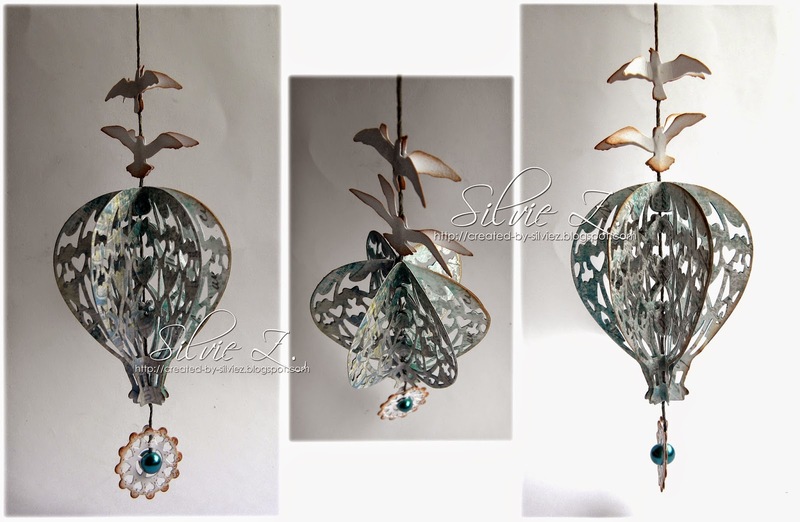 I also made another ornament – more suitable for boy / travel / steampunk etc decoration. Hope you have enjoyed this tutorial. We would love for you to share your creation with us on our Facebook Page HERE and a Facebook Group HERE. 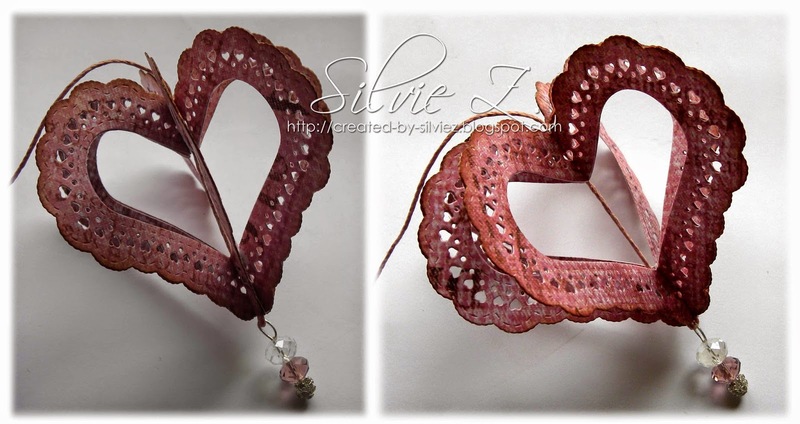 Silvie, they are so beautiful, thanks for the inspiration!!!!! Stunning. It looks like a lot of work, but it certainly payed off. Elegant. wow - VERY nice!!!! Ready to celebrate soemthing fun!!! !